Regular maintenance for your heating & cooling system is very important for the temperature extremes we face here in Tucson. We see all kinds of issues that come from lack of maintenance ranging from dirty filters to pack rat nests built inside the units. We’ve even found kittens in duct work. Regular air conditioning maintenance will not only catch those problems, it also keeps your system running at peak efficiency. A system lacking maintenance can cost you hundreds more annually in electric costs. 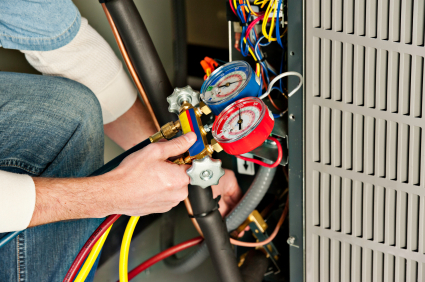 This can also lead to more costly A/C repair bills compared to a problem caught early on. If you had an HVAC system replacement or recently moved into a home with new A/C unit, annual air conditioning service is required by most manufacturers to maintain the warranty. The other item that is very important is filter changing. We recommend replacing your filter monthly. According to the Louisiana Cooperative Extension Service at Louisiana State University “Studies found that an air conditioning tune-up saved an average of $32.76/month in air conditioning costs while increasing the capacity of the system. The study was repeated a year later on the same homes to find out if tune-ups were actually needed every year. The savings the second year was $24/month in air conditioning cost.” New air conditioners can operate at peak efficiency, whereas, 10-15 year old ac units may waste 20-30% energy. Just like maintaining your vehicle, Your cooling system needs to be tuned up and maintained. Imagine how many problems you would have if you never changed the oil in your car. A home heating & cooling system is the third largest purchase that the average american consumer will make behind a house and a car. Protect that investment with regular maintenance.